Scientists used the MUSE and X-shooter instruments on the Very Large Telescope (VLT) at ESO’s Paranal Observatory in Chile, to detect for the first time stars that are created inside colossal winds of material. 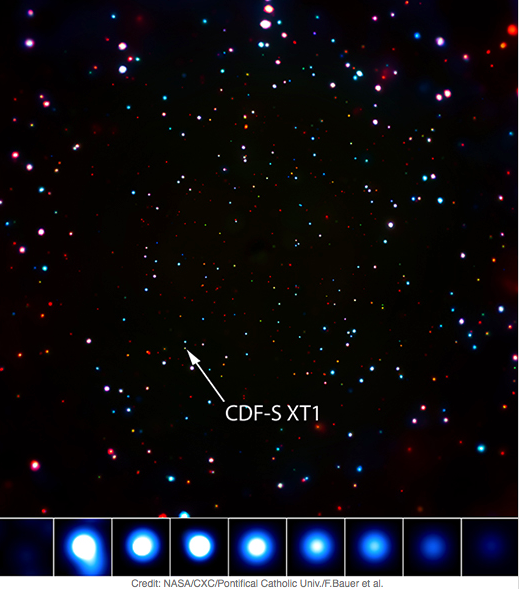 NASA’s Chandra X-ray Observatory detected a mysterious flash of X-rays that scientists have never seen before. 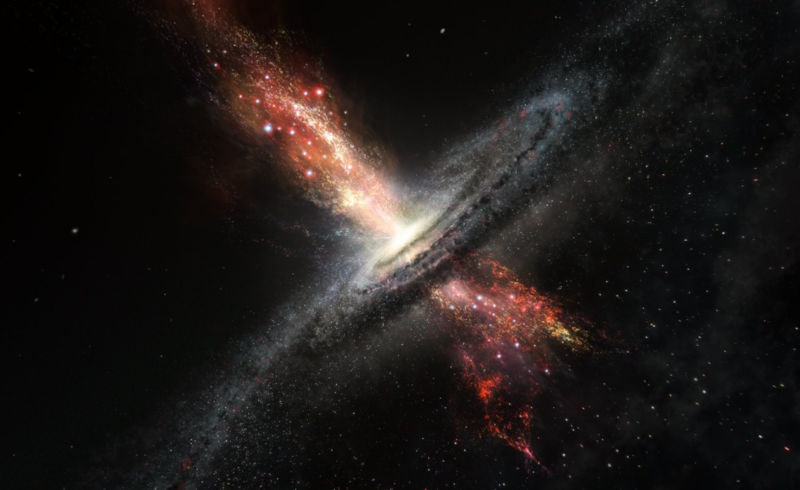 The source is located in a sky region known as Chandra Deep Field-South (CDF-S) and when erupted it became 1,000 brighter in a few hours producing a thousand times more energy than all the stars in its host galaxy.